Tuesday 7th March 2017 – Akshay Kumar shared a video on social media wishing Anupam Kher on his birthday. 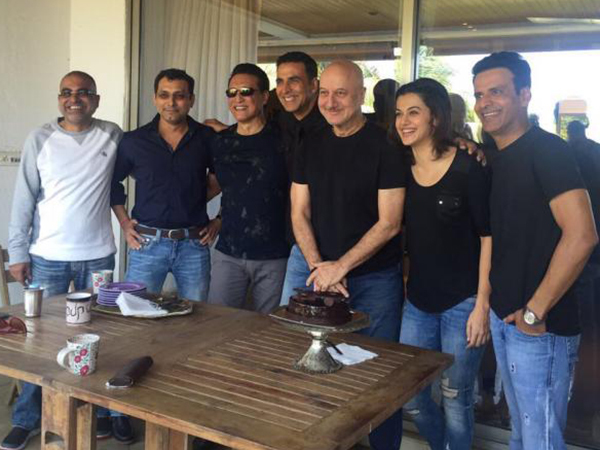 The veteran actor celebrated his birthday on the sets of Naam Shabana comprising of Taapsee Pannu, Manoj Bajpayee and Danny Denzongpa. Naam Shabana is a prequel to the 2015 movie Baby. The film is directed by Shivam Nair and co-produced by Neeraj Pandey and Shital Bhatia under Friday Filmworks banner. The film will see Taapsee Pannu reprise her role as Shabana.